The raffle site is not presenting any raffles for purchase. It says something about being physically located in Kansas, Kentucky, or Montana. I live in Kansas, Kentucky, or Montana, and I am not able to access the raffles. I am not from Kansas, Kentucky, or Montana, but I am presently visiting. Can I purchase tickets? Can I mail you money or call you to purchase a ticket? How long will it be before other states will have access to the raffle? How will I know when I can purchase again? Can I get my membership discount on raffle tickets? I tried to buy 4 tickets and my confirmation shows I only got 2 tickets. Why? If I win a certain raffle car can I upgrade it to a different vehicle or add options? What if you don't sell all the tickets in the limited number raffles? What taxes do I have to pay if I win? How do you calculate the 25% income tax to be collected and sent to the IRS, and how much would that be approximately? How does the IRS know that the winner has paid federal income taxes? Can I win the car if I'm not a US resident? If I am in the military and will possibly be out of the country at the time of the drawing, can I have someone else pick up the car for me? If I will be borrowing the money to pay the income taxes, can you work with my bank to get the money? If I have multiple tickets for different raffles and I happen to win two different raffles can I actually take both cars? What do you do with the money the Museum makes from raffle ticket sales? What is the process for drawing the winning ticket and how do I know my tickets has as much chance to win as any other ticket? Please explain the following rule: "In the event the Corvette is lost, damaged, destroyed, or otherwise not available, National Corvette Museum's liability shall be limited to refund of ticket price to participants. National Corvette Museum's liability for any other claim is limited to refund of ticket prices." Do I have to come to the Museum to get the car if I am the winner? Why did the number of “available tickets” go up from when I last viewed it? At this time, we are only selling raffle tickets to people in Kansas, Kentucky, or Montana. We are working to open this up to other locations. If you are not presently in Kansas, Kentucky, or Montana, or if you are connected to the internet using a provider or VPN that does not identify as being in Kansas, Kentucky, or Montana, we may not sell to you online. If you have a Kansas, Kentucky, or Montana address, we can take your order via phone. Yes, you may. You should be able to access web sales, or if you are in Kentucky, visit the museum to purchase. Only if you are in Kansas, Kentucky, or Montana. Otherwise, not at this time. We are working diligently to determine that information. We'll update the website as soon as we get the go-ahead for any state. Please keep checking the website to see if your state has been added. Unfortunately raffle ticket purchases are NOT tax deductible as a contribution. This is specifically mentioned in IRS regulations, as buyers are purchasing the "chance" to win a prize. However, gambling losses are deductible to the extent of your gambling winnings. So, if you win, you can deduct the cost of any raffle tickets or other gaming purchases. No, raffle ticket purchases are not eligible for the membership discounts. Kentucky charitable gaming regulations require that every ticket be sold for the same amount. To remain in compliance with this regulation, we are unable to give membership discounts or volume discounts. If a raffle is selling out and down to the last few tickets, you will receive the number of tickets still available at the time of payment. Others may have submitted payment before you did. The tickets are not sold to you until the credit card charge is captured. At that time you will be assigned the tickets IF they are still available. All raffles with the exception of the Build Your Own Raffles cannot be upgraded or changed due to the fact that the Museum must actually place the order and pay for the car in advance. It is usually delivered to the Museum before the drawing takes place. For Build Your Own Raffles the winner can select from the available options at that time, excluding limited edition type vehicles or restricted upgrades. We will still draw a winner and give away the car even if all the tickets are not sold. Your odds of winning will just increase if all the tickets are not sold. Federal income taxes: The IRS requires us to collect 25% of the value of the vehicle from the winner prior to releasing the car. This is for federal income tax purposes and is forwarded electronically to the IRS. The value is determined by what the NCM actually pays for the car. This is generally closer to invoice price rather than MSRP. This tax is then forwarded to the IRS on the winner's behalf. At the beginning of the following year, the Museum will submit a form W-2G to the IRS with a copy sent to the winner, indicating the value of the prize you won and the amount of the taxes you have paid in. The winner will need to report this value on his or her income tax return as income due to winning a prize. The winner will also indicate on his return that he has already paid in those tax dollars. This amount is added to whatever other withholdings you might have through your employer or other means. Depending on your tax bracket you may get some of this money back or you may end up owing more on your tax return. Other possible taxes: You may have to pay sales tax when you take the car to your home state to get it licensed. This depends on your state, but in general it is treated as if you purchased a car. Depending on your state, you may incur higher state income taxes due to the additional income from prize winnings. Our dealer is required to collect 6% state sales tax for anyone residing in Arizona, California, Florida, Indiana, Massachusetts, Michigan, South Carolina and Washington. This amount is paid directly to our dealer and the winner will receive a form giving them credit for the 6% already paid. They may owe a bit more upon licensing the vehicle if their state sales tax is higher. This is due to a reciprocal agreement that Kentucky has with these states. It is based on the price that the Museum has to pay for the car. We often get a discount on the purchase price and therefore, the winner is usually taxed at an amount below the MSRP. Federal income taxes generally will range from $17,000 to $25,000 depending on the value of the car. The Museum is required to submit a form W-2G. This form indicates the value of the prize that has been won and the amount of federal income taxes paid in. This information is sent to the IRS and to the winner. In the past we have always used our cost in the vehicle as the value, rather than the MSRP. We typically are able to purchase the vehicle at a discount. Our rules state that all non-US residents will be required to accept a cash option, even when a specific vehicle has been offered as the prize. Cash options are specified in the rules. Current GM dealer regulations do not allow a new US vehicle to be titled in the name and address of a non-US resident. Non-US residents are still eligible to participate in the raffles and to win the cash prize. Yes, we can generally make arrangements for that type of situation. The winner might be able to give Power of Attorney to someone else who could sign for you. We would need proof of ID from the person whose name is on the winning ticket. We could also potentially extend the time period for picking up the car if necessary. Yes, we can. We can talk with your bank to provide any necessary documentation. If an individual were to win two different raffles, then yes we would be glad to release both vehicles to that person. 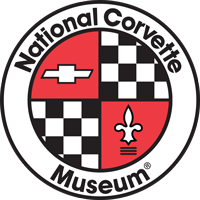 The National Corvette Museum is a 501(c)(3) not-for-profit organization with a mission of celebrating the invention of the Corvette and preserving its past, present and future. There are no owners or stockholders, and we are not affiliated with General Motors. We are required to purchase the vehicles that we raffle off, so first the money is used to pay for the car. Any additional monies raised from our raffles go into the maintenance and upkeep of running the Museum. Charitable gaming, such as conducting raffles, is only allowable for not-for-profit organizations. We are licensed by the Kentucky Department of Charitable Gaming and are completely legal, and report our gaming activity to the IRS as well. The purpose of charitable gaming is to raise money for not-for-profit organizations. In fact, the charitable gaming regulations require that an organization's gaming activities net at least a certain profit percentage in order to continue gaming. Raffle tickets are placed in a clear, acrylic cylinder-shaped drum. The drum is designed to be turned and spun to mix the tickets up and we do this many times. The entire drawing process is completed out in the public area of the Museum and usually in an area where one of the webcams shows the entire procedure, or possibly in front of a crowd at an event. In public view, we place the tickets individually in the drum. This is generally observed by others including Museum visitors. The tickets are individually dropped into the drum and it is spun and mixed several times during this process. After all the tickets have been placed in the drum we continue to mix and spin it. We will generally ask a random Museum visitor who has not purchased a ticket to actually reach into the barrel and draw the winning ticket. They are asked to look in the opposite direction and then pull out one ticket. The winner's name is announced and the winning ticket is given to one of our raffle officers who immediately attempts to contact the winner by phone if they are not present at the drawing. For our unlimited ticket raffles, we use a very large drum and continuously place the tickets in it as they are sold. We strive to make each raffle drawing as fair and as much out in the open as possible and make every effort to insure that each ticket purchased has an equal chance of being drawn. We are in compliance with guidelines established by the Kentucky Department of Charitable Gaming. For a normal Corvette, this would not come into play. We can generally always order new Corvettes. This rule applies in situations where we raffle off a specific and unique Corvette - possibly a one-of-a-kind vehicle. If something were to happen to that vehicle, we would have no way of replacing it. In that situation, we would probably never draw a winner, but would refund all purchases. There is no benefit to the Museum if we refund all the ticket sales, since we also have to purchase the vehicle. We do everything possible to make sure the winner receives the car we are raffling. No, you do not have to come here, but you would be technically taking delivery here. We can handle the paperwork and payment of taxes by mail. However you would miss out on the opportunity to participate in the Museum Delivery program. Most all winners come here to experience the excitement of winning the car and also to participate in the delivery program. The winner would be responsible for shipping or transportation charges and arrangements in getting the car home. We can provide contact information for car transporter companies. We may have had tickets available for sale onsite at the Museum and then later added those specific ticket numbers to the website, causing the number to increase. For limited ticket raffles, the total available will never exceed the actual number of tickets printed and stated on that specific raffle.